More than 600,000 qualified prospects connected with our Financial Advisor clients in 2018. These Advisors received an average of 200%-400% ROI on these campaigns. With this level of return, highly targeted seminar campaigns have proven themselves as a successful way to grow your book of business. 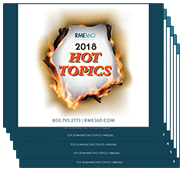 Right now, you can download a brief report on the top performing seminar topics and campaign headlines. Have a look and apply it to your campaigns and make 2019 your highest production year to date! You won't find this information anywhere else. With 24 years of experience and 22 million responder records, our data is what makes us different. Download the report now and start filling your seminars, seeing more prospects, and filling up your appointment calendar!